A cellphone bomb was discovered by airport X-Ray scanners in a passenger’s check-in luggage at Mangalore Airport in India. A major scare followed the grim discovery and the flight was delayed pending further investigations. The passenger’s name was released as just M Mohammed, a 26 year old male, and we know that he booked a IndiGo (low cost) flight from Mangalore to Dubai. A very suspicious clay like substance has been detected by the airport’s X-Ray machines inside a cellphone/power bank pertaining to M Mohammed by the staff that was screening the latter’s check-in baggage. The local police was called and M Mohammed was arrested, being currently into custody. 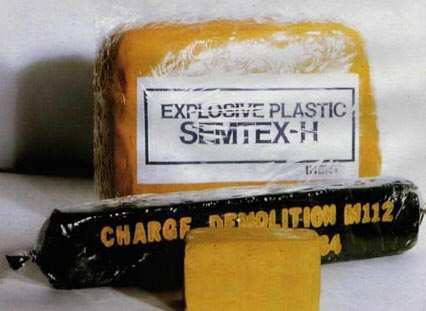 It is not clear yet if the suspicious object is an actual IED (improvised explosive device) or just a test, a dry-run of sorts performed by terrorists trying to determine if the airport security is capable of detecting C4-like explosives (C4 looks like clay and has the same texture) hidden inside consumer electronics (laptops, cellphones etc). According to early reports, anti-terrorist forces’ sniffer dogs gave a mixed signal with regard to the alleged IED, hence it’s not clear if the cellphone contained explosives or other chemical substances which may have been used for a chemical attack. As you can see from the picture, the brown colored material looks like C4/plastic explosive RDX based, while that silver thing that looks like a battery would make for the detonator, or something along these lines. According to Rajesh Kumar Chandra, India’s Bureau of Civil Aviation Security chief, the alleged IED is currently being investigated. A report via the local media now claims that the device was later identified as a fake IED, leading us to believe that the whole operation was a terrorist dry run, or a proof-of-concept. India’s Mangalore airport sees dozens of flights daily, connecting to major cities in the Middle East, including Dubai, Doha, Bahrain and Kuwait, to name just a few popular routes.